When a cigar's wrapper leaf is wound around its binder and filler, it is wrapped in a spiral, starting at the foot and ending at the head, until the entire cigar is covered with the flavorful tobacco leaf. This spiraled leaf is, in fact, a helix. 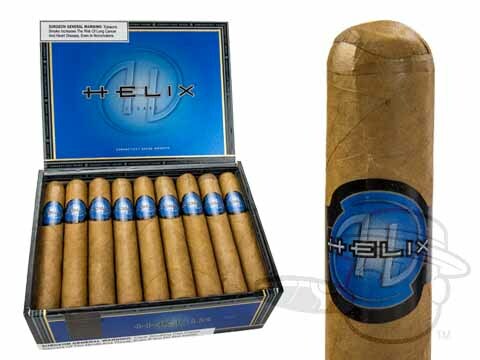 And that is how distinctively mellow Helix Cigars got their name when they were developed by the cigar making artisans in Danli, Honduras. This is an excellent cigar for the price. Very mild! This cigar has a smooth lite acid taste and a great draw and smokes just fine with it grey/silverish long ash, it is a great well spent buck!!! Helix 550 Natural is rated 3.8 out of 5 based on 7 customer ratings.